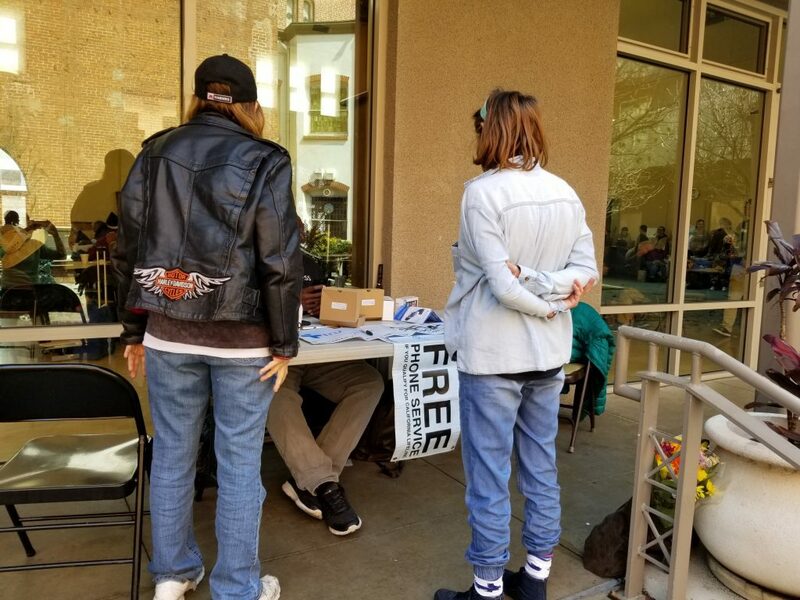 We had 121 guests (including 4 new ones) at our relatively calm community center. This dip in our guest count is typical of what happens on the first Sunday of the month, as many of our clients just received their benefits that they use to pay for a night or two of motel stays, but still surprising because we had over 200 during the prior three Sundays. 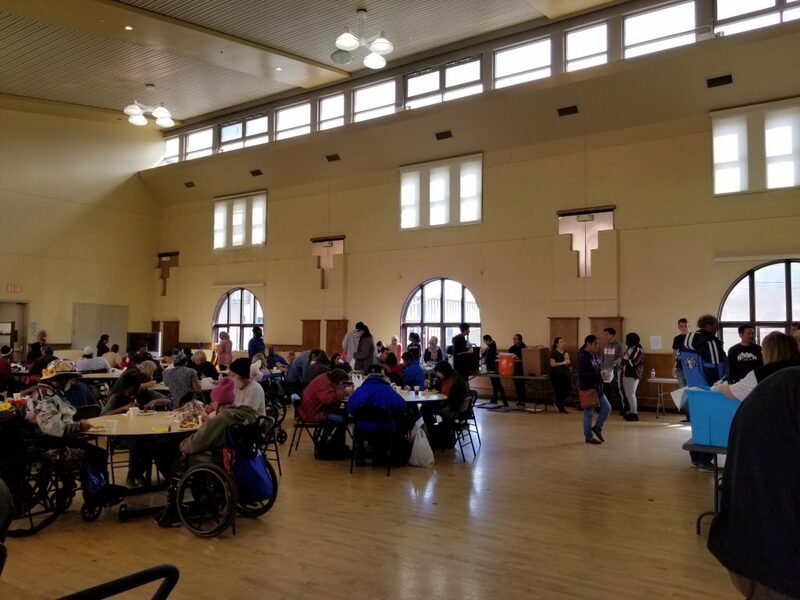 With guidance from chef Melody, about 60 volunteers including those from Cal State Long Beach and a middle school in Hawthorne made and served baked chicken, baked beans, vegetables, fruit salad and sweets, as well as helped clean up. Many of our guests were happy to see Nurses Anne, Anna and Sharon at the center. The nursing team was busy measuring blood pressures and making themselves available for individual consultations. The guests were happy to be given foot powder, vitamins, socks, toiletries, toothbrushes and first aid supplies. Several clients also received free phones from the cell phone representative on-hand. Thank you to Board member Israel Rodriguez for picking up and delivering canned goods from the local AIDS Food Pantry. Several of our recently housed clients took canned foods home to supplement their food supplies. A steady stream of current and new clients came to my office to discuss their situations. A young woman who is still living in her car with her partner and dog informed me that she was just hired by McDonalds. She needed non-skid black shoes for the job. Fortunately, we found a pair of gently used ones (that were a little too big) in our leftover supply from last Sunday’s clothing/shoes distribution. Both she and her partner are hoping to begin new jobs in a week. If all goes as planned, we will be able to connect them with rapid re-housing assistance to get them back into an apartment in the coming weeks. A 32-year-old gentleman came in to tell me about how he has been homeless for about eight months and is currently staying in the winter shelter. He is willing and able to work – I gave him information on local job training/assistance programs. If he can secure a job before the winter shelter’s scheduled closure on March 31, we may be able to help him find a place in a shared house or other non-traditional housing. During the past week, staff and I helped clients move forward, including securing new apartment approvals. Staff also helped a client receive her $75 application fee back from a landlord who had no intention of renting to our client and her son. Because our clients are often desperate to find a place to live, they submit rental applications and fees without receiving receipts or any assurances. 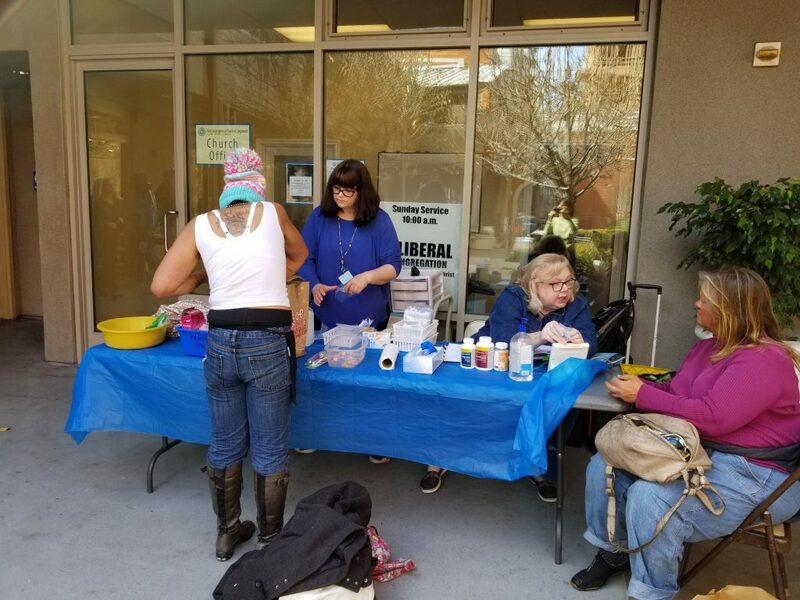 Thank you for your support which has allowed us to maintain our community center as a place for respite on Sundays and help stabilize the lives of those who are experiencing homelessness.